The Romantic Era offers us insights into our present plight, and unexpected indications of how we might move forward. Nineteenth and twentieth century nationalism did not arise in a vacuum. Indeed, the massive political gains that nationalists succeeded in securing were instigated and buoyed by prior and concurrent cultural movements. We see a populist revival in political nationalist sentiment across the West today, but, although there has been a great deal of commentary on the decline in our cultural output in recent decades, there has been very little discussion on cultural revival. Moreover, while there has been public shock and outrage at the demonization of our ethnic heritage, there has been little widespread interest in Western history as a subject. But, as I have been realizing with ever more frequency, the past is a lighthouse; we must let it illuminate our present as we build our future. At this juncture, a time when we are awakening en masse to the hijacking of Western society and postulating what can be done to change our cultural trajectory, it behooves us to look more closely at a period in our own history that bears many analogies to the situation in which we find ourselves today. I am speaking of the Romantic Era. The Romantic Movement has been largely considered a literary and artistic movement. This view falls short, however, for several reasons. The first reason being that, as scholars note, there is not one overriding style that pervades Romantic Era art, unlike other artistic movements. The Romantic Movement is better said to be more of a feeling, or a Zeitgeist, that electrified artistic creators and the appreciators of their creations. As is frequently noted, this feeling was profoundly spiritual. However, an important theme underpinning the Romantic Era that has been virtually ignored by modern academia is that this shared feeling was profoundly ethnic. To understand how the Romantic Movement arose and what its meaning was, we must look first to the preceding Age of Enlightenment, for here is where we find the fodder for the reactionary movement which would follow. Never in the history of mankind has any culture of substance been built without a grounding in its own ethnic past. The Enlightenment saw the birth of science as a mainstream discipline. But, with that, it also ushered in a sterilized worldview. There is often a tendency, mainly found among American Evangelicals, to view previous eras as profoundly pious and steeped in Christian dogma. In reality, most of the great thinkers of the eighteenth century were Deists. They believed in a creator, to be sure, but one who, as a master watchmaker, put the gears in motion and then set the timepiece loose to function independently; the world as they understood it was operationally mechanized. 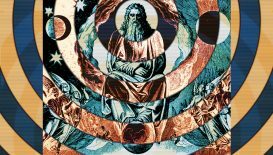 So pervasive was this outlook that even the likes of Thomas Jefferson set out to ‘correct’ the New Testament by re-writing it as he thought it must have actually happened – removing all supernatural elements from the narrative. The mechanized view of the world would only become more intense with the onset of the Industrial Revolution in the first half of the nineteenth century. Now, not only was a mechanized world a philosophical view, but it was quickly becoming a literal reality. This swift technological transformation was for many cause for alarm. There was a real fear about where this new mechanical world would lead us, as evidenced in Mary Shelley’s famous novel, Frankenstein; or, The Modern Prometheus, which is not actually a Gothic horror story about a monster so much as an observation and stark warning for mankind about moving so quickly toward a scientific worldview that removed the soul from humanity. While industrialization brought with it undeniable benefits, it also brought vast and sweeping changes to both the landscape and to lifestyles which, in many cases, could be a shock to the system. The populist nationalism that we see rising today has rightly noted the repercussions of the phenomenon that has been coined ‘globalism’ in our current epoch. It is fair to say that the Industrial Age could be considered ‘Globalism 1.0’. While there had been periods of mass shifts in populations previously (tribal migrations, and more recently the settling of European colonies), industrialization ramped up population shifts concurrently with lifestyle changes that had been hitherto unfathomable in the history of mankind. One notable difference was that whereas historically, most mass movements of people occurred together in tribal or otherwise ethnic groups, this new occurrence saw movement undertaken by the individual. However, when individuals are moving in massively large numbers, this can have a striking impact on place. Of course, this mass movement of individuals coincided with the process of urbanization, wherein people who had hitherto lived bonded to their locale for generations were suddenly uprooted due to the need to seek wage work in the boom cities. We are culturally still quite familiar with the squalid conditions in nineteenth century Western urban centres thanks to the work of Charles Dickens. But, what many modern readers may not fully realize is the impact that the combined efforts of the Enlightenment (or, Age of Reason/Science), plus industrialization resulting in urbanization, had on Europeans culturally. This is where the Romantics enter the picture. Like those who are awakening to a racial awareness across the West today, the Romantics looked out and saw their world changing in ways that were not for the better. Individuals who moved to urban centres lost their bond to the soil, but more than that, to their kinfolk. Of course, cities with large numbers of immigrants from the same regions developed ghettos wherein they thrived for a time in their own ethnic-enclaves (the many ‘Little Italy’ or ‘China Town’ neighbourhoods found in large American cities are a testament to the natural desire for people to live among their own kind). But, within a generation or two, descendants of the initial migrating people soon lose the ethnic bonds that their ancestors once possessed. However, the main point of concern of the Romantics was the other side of the coin – the impact that the outflow of population had on the cultural viability of the people left behind. Today we see a massive influx of people from the Third World into Western nations. While nationalists are rightly noting the effect that this influx of foreigners has on our societies, it is also noted by patriots in their own home countries that the outflow of educated individuals results in a phenomenon known as ‘brain drain’. Whereas, modern ‘brain drain’ is defined as the impact that the exodus of a nation’s most educated citizens has upon that society, an analogous phenomenon occurred in the rural communities of Europe when their young folk left in great numbers to relocate to urban centres or even to emigrate to the New World. In the case of nineteenth century Europe, it was not necessarily highly skilled people who were leaving, but it was simply the ‘folk’ themselves. Therefore, this ‘brain drain’ resulted in more of a cultural drain. These were not doctors, engineers, and scientists leaving their home nations without high-tier minds. They were simply farm hands and regular country folk. But, these people were far more valuable than highly educated doctors, engineers, and scientists in terms of the innate knowledge that they carried from generation to generation of their own folk culture. When these people vacated their homelands in large numbers, the impact upon the folk tradition of Europe was palpable. It was not only the unsettling shift to an overly rationalist and mechanized view of the world, but also the realization that something of immense value was being lost that birthed the Romantic Movement. This was not some ‘romanticized’ view of backbreaking manual farm labour that the Romantics were concerned with; but rather, they were concerned with the spirit and the soul of the folk which had been preserved through all those generations before mechanized farming machinery started to make labourers redundant. These were people who had passed down stories steeped in ethnic spiritual tradition for, in some cases, literally thousands of years. These were people who sang songs handed down from their grandparents’ grandparents, regaling ever new crops of younger generations with tales of the heroes of their ancestral past. These were people who passed down holiday customs and traditions that can only be described as ritual remnants of a past so ancient that it is not found in any historical source. And these were the people vacating their lands to lose themselves in the city. A recognition permeated the middle-class educated demographic, and thank the good gods that it did, that something immensely important to themselves (and to all of us, even today) was about to be lost. Something had to be done about it. So, again, rather than an artistic movement per se, what defines the Romantic Movement is this deeply spiritual drive to reach into the folk-soul of ethnic European cultural inheritance. The European folk-soul was not only a muse for some of the most beautiful works of art, music, poetry, and literature ever produced in the Western tradition during this era, but there was also an intellectual understanding of the need to protect and preserve our indigenous culture. So, while the Pre-Raphaelite Brotherhood in England was painting visual artworks inspired by European myths, legends, and history, Walter Scott in Scotland was writing epic historical fiction novels of adventure about our glorious past. But, similarly, the likes of Robert Burns recognized the value in regional dialect and made an effort to create poetic works of linguistic beauty in the Scots language (rather than using the standard English of the educated classes). And, perhaps, most important while simultaneously unrecognized and undervalued is the fact that the Romantic Era saw the birth of the field of folklore as a discipline far and wide from Britain to Russia. It was in German-speaking regions that the field of folklore has been most remembered, through the efforts of Jacob and Wilhelm Grimm. The rise and advancements of European nationalist movements ride on the heels of the drive for cultural preservation fomented by the Romantic Movement. While there had been individuals recording the lore of the people prior to the nineteenth century, there had never been a widespread effort or a name applied to the subject; it was during this period that the term ‘folklore’ was coined. The emphatic importance and depth of meaning in this term cannot be overemphasized. Folklore, as a genre, has been neglected and downplayed as sort of quaint, lowbrow babble of the peasantry. High literature which is the brain-child of geniuses like Shakespeare, Milton, and the greats of the Western literary canon has received its rightful praise over the years. But, the lore of the folk has been relegated to the realm of children’s stories – which, in and of itself, in my view, is a testament to its deeply embedded subconscious meaning and value, rather than carrying any negative connotation. It should be considered that when it comes time to read stories to our wee ones, what do we choose? Sure there are many modern classics of children’s literature, but we have never strayed from the European folk and fairytale canon. On a psychological level, it speaks volumes that these are the stories that we make sure to pass on with each subsequent generation – the lore of our own folk. That these tales are, indeed, the lore of our own folk should not be glossed over. As academia has moved ever to the left, which in the West actually means ethno-masochism, there has been a drive to separate the field of folklore from its origins in the space where the Romantic Era bleeds into the rise of ethno-nationalism. For, circling back to the beginning, nothing exists in a vacuum. The nationalist movements in Europe did not arise out of some anomaly in space-time. The people of Europe saw not only their own lives, but their wider societies, and the very landscapes that surrounded them changing dramatically before their very eyes. And, of course, there was a natural reaction to this. 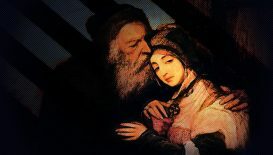 The Romantic Movement extended more or less over a one hundred year period, with its peak typically defined as about 1850–1900. If we look to European nationalism, there is a stark overlap with the rise and advancements of European nationalist movements riding on the heels of the drive for cultural preservation fomented by the Romantic Movement. Mainstream academics today attempt to universalize folklore and separate it from ethnic nationalism. In truth, nothing could be a more egregious degradation of the field which owes its very birth to the recognition of the importance of preserving that which belongs to our own folk. Within the folk tradition is preserved the kernels of cultural identity which grow and blossom in the great flourishings of cultural expression that the Western artistic tradition has produced in an unbroken line dating to the Classical Era. Just as misplaced, however, is the attempt to elicit political nationalism without a grounding in these ethno-cultural foundations. While the populist nationalist awakening seen widespread across the West is to be applauded, we must also take caution. Never in the history of mankind has any culture of substance been built without a grounding in its own ethnic past. The contemporary nationalist movement of our current age is fuelled by reactionary response to attacks by forces we generalize as ‘globalists’. It is good and right that we recognize these attacks and react to them with a nationalistic response. But, if we are to take this energy and use it to build a society upon which we can stand firmly for many generations to come, we must build our foundations firmly on the inheritance that we have received from the countless generations who have come before us, our own folk. 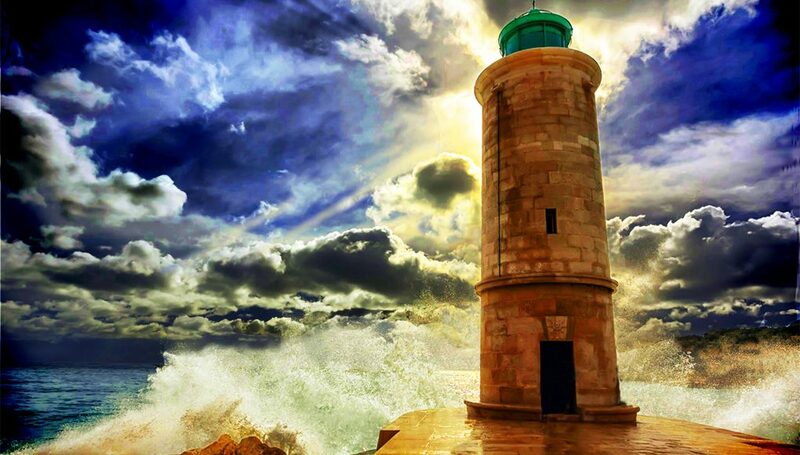 The past is a lighthouse; let it illuminate our present as we build our future. Blanning, Tim. The Romantic Revolution. New York: Modern Library, 2010. New York. Warner, Marina. Once Upon A Time: A Short History of the Folktale. Oxford: Oxford University Press, 2014. Print. Williamson, George S. The Longing for Myth in Germany: Religion and Aesthetic Culture from Romanticism to Nietzsche. Chicago: University of Chicago Press, 2004. Wilson, William A. Folklore and Nationalism in Modern Finland. Bloomington: Indiana University Press, 1976. Print. Amazing article, truly amazing, this take on the Romantic Era is new to me, and I have to say I’ll never look at it in the same way… Hail Carolyn! Carolyn Emerick’s article highlights one of the key things lacking — at least in the U.S. — in the current “nationalist” mania: What to move towards. What is now being stripped from the U.S. is the English language American culture created by northern European settlers. The Chinese flooding into the western U.S. don’t give a crap about American culture: they have their own and their own language. The Muslims flooding in from Africa and the Middle East don’t give a crap about American culture: they have their own and their own languages. The Mexicans and other Spanish speakers flooding in from south of the border don’t give a crap about American culture: they have their own and their own language. Etc., Etc. Alexis de Tocqueville noted in “Democracy in America” (1835) that America, although created by northern Europeans, had its own culture with regional flavors. 1) The foundation of American culture predates adoption of the Constitution. American culture didn’t just flourish prior to the Constitution — but it would have flourished more if the Constitution had not been adopted. That is because the Articles of Confederation preserved the nation state status and individual characteristics of each of its 13 members. The U.S. Constitution paved the way for a “one-world” country. In today’s lingo, the Founding Fathers were Globalists of their era. 2) The current internal destruction of the U.S. is being done completely legally based on the principles set forth in the Constitution. Oh that’s right! People who understand the principles need to be the judges. Doesn’t work that way. Every judge — whatever their philosophical beliefs — thinks they are acting based on the Constitution’s principles. The Constitution is a dead-end for preserving American culture. Keep in mind the National Socialist’s political regime in Germany from 1933 to 1945 was completely legal under the German Constitution that was modeled after the U.S. Constitution, and it provided more written protections than the U.S. Constitution. Likewise, the USSR’s Constitution was modeled after the U.S. Constitution and it provided more extensive written protections than the U.S. Constitution. In those two countries combined many tens of millions of people died under the watchful eye of their Constitutions. The U.S. Constitution doesn’t have any mystical power standing in the way of a blood bath of immense proportions occurring in the U.S. Prior to the 2016 election Jordan Peterson and Stefan Molyneux — both Canadians — publicly warned the philosophical climate in the U.S. is ripe for a blood bath under radical leadership in the Democratic/Marxist/Socialist/Communist Party. So much for relying on the Constitution for a cultural revival. If nationalists knew history they would be advocating abandonment of the U.S. Constitution and reinstitution of the Articles of Confederation that the Antifederalists — who wanted to retain the AOC and opposed the Constitution — knew protected regional eccentricities and blocked creation of a “one world” country. The Folk Carolyn Emerick writes about flourished under the AOC. This is a long-winded way of emphasizing that if not just the preservation of American culture, but its growth, is the desired end, then a discussion needs to engaged in that focuses on genuine paths consistent with achieving that goal. Great article, as always! I have read much of Carolyn’s work, and it’s always enlightening. We definitely need more bright thinkers in the world like her. I have been quite inspired by her work, and I’m always glad to learn more about our culture’s history, it’s very important that we don’t lose these things we speak of any more than has already happened. Embrace your roots! An important sentiment in this article, one I’ve been advocating myself, is that we need to have a positive and proactive experience of ourselves that is *independent* of the present opposition. If all of our enemies stopped their anti-white agenda tomorrow, we’d still need a healthy sense of self with a direction to sustain us and ensure that the insanity happening now will not happen again. I’ve enjoyed Carolyn’s continuing development of connecting our current circumstance to 19th century nationalism, something we discussed when No White Guilt and I welcomed her on our YouTube livestream back in May. It is incredible how much has been robbed from our people. Imagine if the same had happened to the Japanese, none of us would know anything of their Shinto religion or their own native traditions, everything that makes the Japanese Japanese would be almost completely wiped out by a foreign religion of a foreign people, forced upon them by their own rulers. That would be pretty sad to say the least and yet that is exactly what has been done to Europeans. It’s no wonder we are lost and easily swayed by media and whatnot. Finding a foundation to stand on that is deeply rooted in us by looking for what has survived of our own ways in folklore and old customs sure seems the way to move forward, to give us reason to be proud of our people and not stay minions of the elites that seem hellbent on our eradication. You wish a lot more people could come to see the wisdom in this; what is the point of even surviving looking like native europeans if our minds are altered to be whatever the ruling class of the time finds entertaining? Emily Bronte’s novel is the best articulation of the struggle between the rational-materialism of the Enlightenment with the metaphysical worldview of the Romantic movement, or to be more exact in this case it’s the Industrial Revolution versus the folk. Wuthering Heights represents the state of nature while The Grange represents the crass material gains of the new order. Heathcliffe, nature personified, tries in vain to bring back it’s beloved children, personified by Cathy. Note that the natural order isn’t restored until the two are reunited by the next generation. I wonder if this will ever occur for us, or are we doomed to roam the moors as unhappy wraiths? previous post: ‘Europe a Market’ or ‘Europe a Power’?